Nevada- Traditionally, felons lose their right to vote in elections for public office. However, OJ Simpson lost a much more valuable vote today. According to sources within prison, Mr. Simpson has been using his Heisman vote in prison as a new form of currency bypassing the traditional methods such as cigarettes, playing cards and intimate favors. 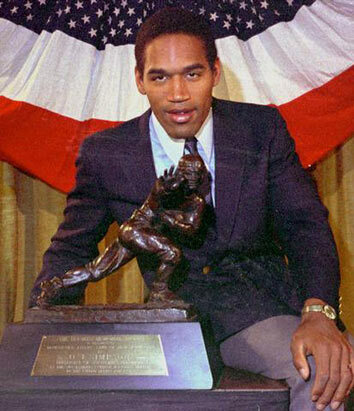 OJ had promised a fellow inmate his ballot for this year’s Heisman, which he was awarded for winning in 1968, in exchange for friendship. The AP reports that the Goldman family has won an injunction to seize the ballot because of its possible financial value. According to court files, the Goldman’s site the potential of fruit baskets from Heisman candidates, coaches and schools. The Goldman’s were not available to comment before press time. A representative for the family said that they were pleased justice was done and they looked forward to reviewing Mr. Simpson’s future currency proposals.